Does anyone know just how many park benches there are in Copenhagen? When was the first bench made with cast iron legs and wooden planks? 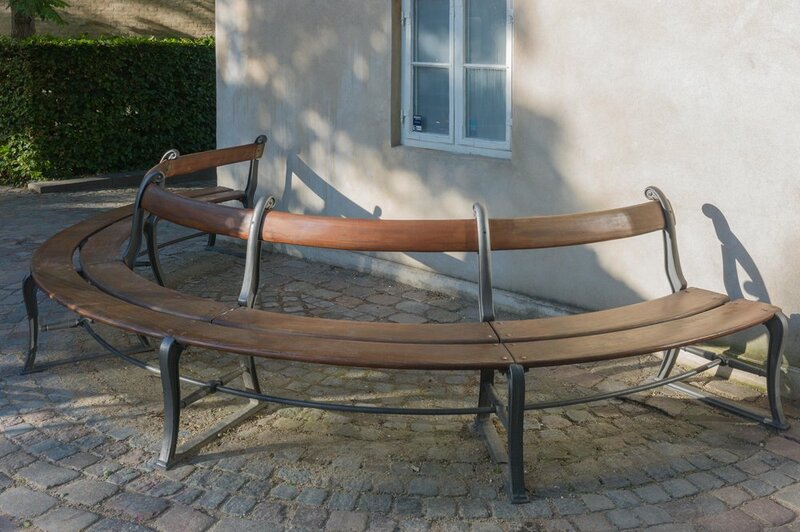 Was there a Copenhagen iron bench foundry? They get repainted at regular intervals so my guess is that someone in city hall knows how much green paint the city gets through every year. My favourite benches are the circular benches that usually go around a tree and there is no pretence … these are there and these are designed for sitting a while to people watch.